Are you tired of paying hand over fist at the fuel pump throughout the work week because you have an extended work commute? If you’re in the market for a new sedan that is efficient as well as affordable and stylish, the new 2018 Kia Forte is ideal for the everyday driver who is seeking a reliable and compact Kia model. Here are a few standout features drivers can look forward to when prospecting the new Kia Forte. Go the distance with the efficient and zippy 147-horsepower 2.0-Liter I4 engine which receives an estimated 25 MPG city and 34 MPG on the highway with the manual six-speed transmission. 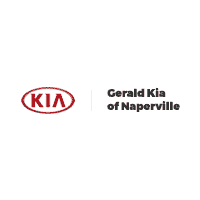 The Kia Forte is ideal for the daily work commute in Naperville and the greater areas of Chicago. Are you looking for more fuel mileage? Upgrade to the automatic six-speed transmission and receive up to 29 MPG city and 37 MPG on the highway. You’re sure to save some cash at the pump when driving the compact Kia Forte! Enjoy connectivity to your smartphone with the available Android Auto and Apple CarPlay, and navigate your way quickly to new destinations with the option for the Voice-Command Navigation System seven-inch full-color touchscreen. Listen to your favorite tunes and news stations on your way to work with the available SiriusXM Satellite Radio! There is much more to explore with the 2018 Kia Forte so stop by our centrally located Kia dealership in Naperville and see the models in our new inventory. If you wish to test drive the Kia Forte trim level that fits your driving needs best, feel free to give our sales team a call at (877) 849.3140. We look forward to working with you, and we’ll see you in our showroom!